The term comes from the Greek ἀ- a- (“without”) and πρᾶξις praxis (“action”). People who suffer from apraxia are usually unable to perform common expressive gestures on request, such as waving goodbye, beckoning, or saluting, or to pantomime drinking, brushing teeth, etc. Apraxia may also affect oral, non-speech movements, like pretending to cough or blow out a candle. There are two forms of apraxia of speech — acquired apraxia and developmental apraxia. Acquired apraxia usually occurs because of some injury or damage to the area of the brain responsible for speech. 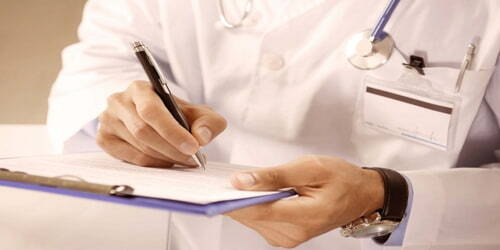 While this does sometimes occur in children, it is widely an adult disorder. This form of speech apraxia will affect the speech skills which the person previously possessed. It may be the result of a stroke, injury or illness. Developmental apraxia of speech is also known as childhood apraxia of speech. This condition is present from birth, and it affects a child’s ability to form sounds and words. Children with speech apraxia often have far greater abilities to understand speech than to express themselves with spoken words. 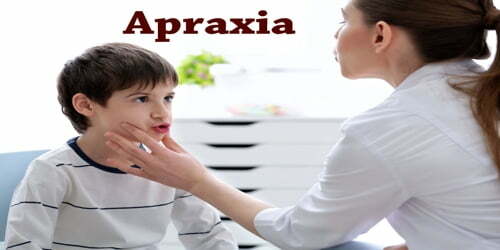 Causes, Signs, and Symptoms of Apraxia: Apraxia is caused by damage to the brain. When apraxia develops in a person who was previously able to perform the tasks or abilities, it is called acquired apraxia. Apraxia may also be seen at birth. Symptoms appear as the child grows and develops. The cause is unknown. Diagnosis and Treatment: Although qualitative and quantitative studies exist, there is little consensus on the proper method to assess for apraxia. The criticisms of past methods include failure to meet standard psychometric properties as well as research-specific designs that translate poorly to non-research use. CT or MRI scans of the brain may help show a tumor, stroke, or other brain injuries. An electroencephalogram (EEG) may be used to rule out epilepsy as a cause of the apraxia. A spinal tap may be done to check for inflammation or an infection that affects the brain. There are various treatment approaches used for apraxia. How effective they are can vary from person to person. For the best results, apraxia treatment must be developed to meet a given individual’s needs. Most children with apraxia of speech benefit from meeting one on one with a speech-language pathologist three to five times a week. They may also need to work with their parents or guardians to practice the skills they are developing. Many therapists believe that sign language is beneficial for children who have difficulty being understood. They often recommend that children attempt to say the words they are signing to practice making the necessary movements with their mouths. In all cases of this disorder, encouragement and support are vital. This is an incredibly frustrating and trying ailment for both the patient and those around them. With time and patience, the perfect course of action to encourage progress in the individual’s speech will become apparent.